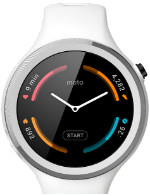 Just as its name says, the Moto 360 (2nd Gen) is the second iteration of Motorola’s smartwatch. 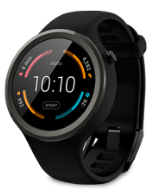 Available in three models, the Moto 360 Sport takes after the 42mm variant in the sense that it comes with a 1.37-inch round watch design. For this model, there is an AnyLight Hybrid display, GPS, and IP67 certification for dust and water resistance. Running behind the screen is a Qualcomm Snapdragon 400 processor and a battery that lasts up to 1.5 days of use. The watch operates on the latest Android Wear OS and is compatible with both Android and iOS devices. 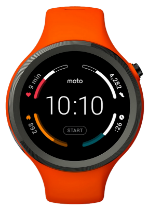 The new Moto 360 Sport is finally here! The Moto 360 Sport is the latest addition to the Moto 360 family.